Quickly pull together a speedy meal, yet fancy enough to serve to company with this delicious recipe for baked lemon garlic butter fish! 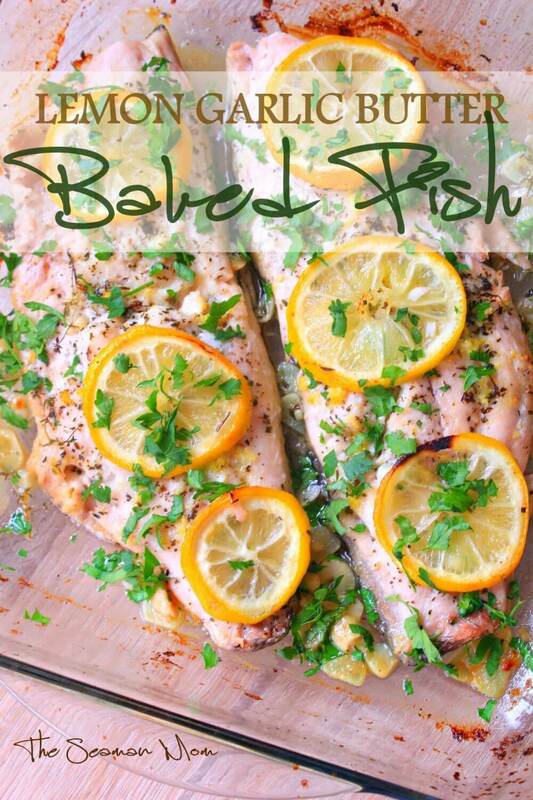 This simple but delicious lemon garlic butter fish is perfect for busy people! A nice mid-week meal, this lemon butter fish baked gets its special flavor from lemon juice, mint, garlic, fresh thyme and chopped parsley. 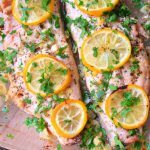 This lemon butter fish is soooo tasty, even non fish fans will appreciate it! I am not a fish person but my daughter LOVES it! But I can’t stand the smell of fish, in my plate or around the house! So I needed a savory recipe, full of rich flavors, able to cover that part really well. 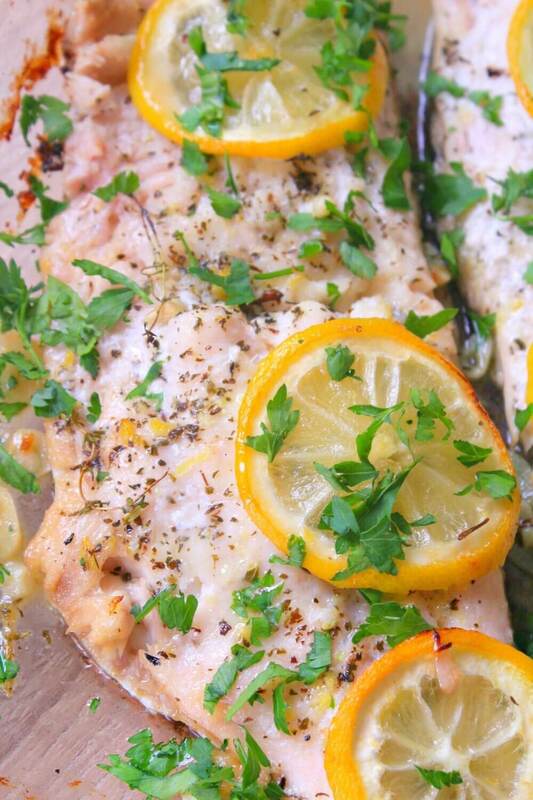 This lemon garlic butter fish was just the perfect choice! 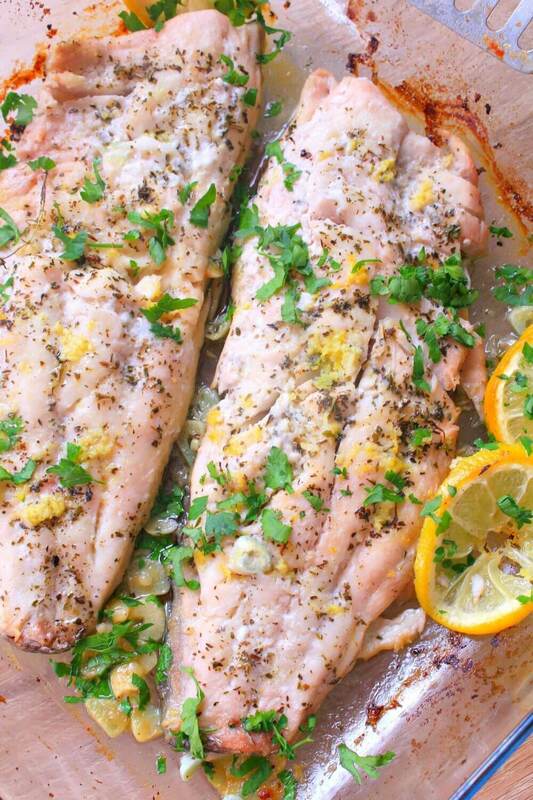 When making my lemon butter baked fish I wanted to cover the fish smell thoroughly so I brushed this lemon garlic butter fish with a mixture of lemon juice and salt (I skipped pepper because of my daughter but I recommend using it), then I brushed some olive oil and sprinkled dry mint. Then I kept my garlic butter fish in the fridge for 4 hours before baking. If you skip this part the recipe takes you about 20 minutes to make, from start to finish but it won’t be as savory as the flavors won’t have time to mix up and saturate the fish. For my lemon butter fish recipe I used catfish but this could be applied to other fish too. You’ll probably need to adjust the baking time though so make sure you keep an eye on your lemon garlic fish while baking. Place fish in the dish, skin side down. Mix lemon juice with salt and pepper. Brush fish with the lemon mixture. Remove dish from the fridge and pour the remaining oil over the fish. Pour the remaining lemon juice over the fish. 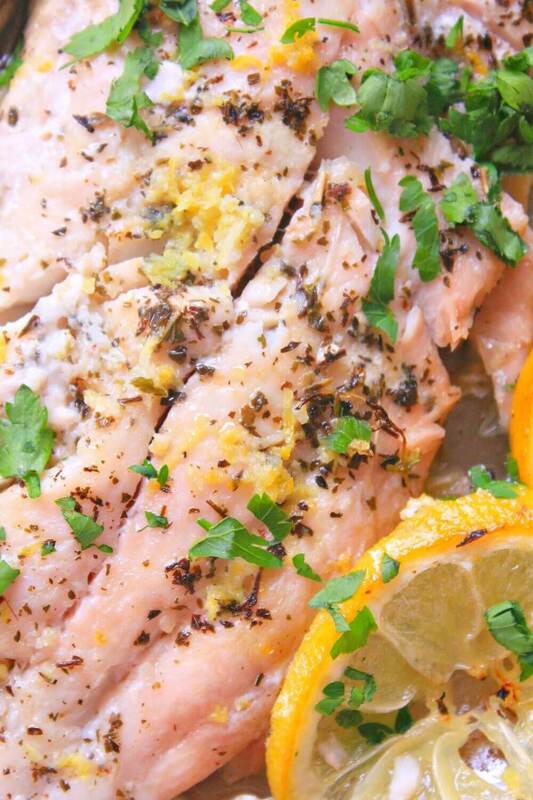 Place the sliced lemon over the fish. Bake in the middle of the oven for about 15 minutes. Remove from the oven and sprinkle fresh parsley then serve. Pre-heat oven to 425 F = 220 C.